FIBRECOAT SPRAY, a new agent "filmogenic barrier", 100 % natural, for deep-fat products. 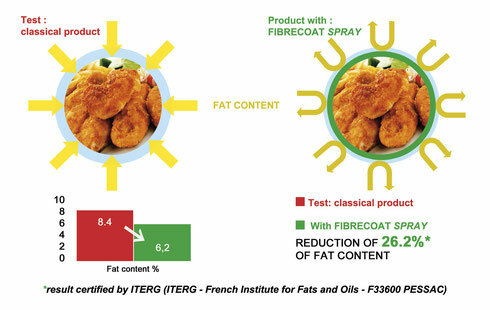 The aim of this study is to assess the performance of FIBRECOAT SPRAY in reducing the lipids absorption of fried breaded products. Nutritional advantages will also be highlighted if useful nutritional claims can be supported. The result obtained by using this method is a reduction of 26.2% of the fat content. 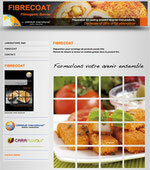 ​FIBRECOAT SPRAY slightly enhance organoleptic properties of the fried breaded product, by improving the crunchiness.